Drivers near Reading, PA trust Lehigh Valley Acura for all their auto needs. Whether you're looking for some research information or are interested in buying or leasing a new car, our team of Acura professionals can assist. Our Acura team will happily highlight our extensive collection of Acura MDX vehicles right now––all you have to do is visit. 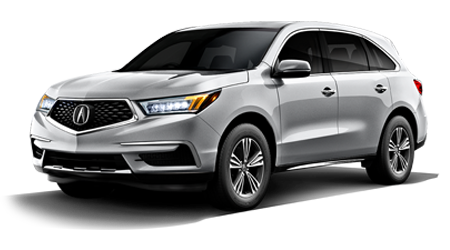 Stop by and explore the available Acura MDX trim packages, check out Acura financing options, or browse parts and accessories. Should you be interested in applying for auto loans, our finance team will happily assist. Don't miss this reliable mode of transportation that caters to your on-road safety and comfort, get behind the wheel of your Acura MDX today! Enhanced performance, technology, safety and driver assistance packages available for you to navigate. Our sales associates are well versed when it comes to the various packages available and are eager to go over the features relevant to you. Features that are available and be sure to take a test drive while you're here so you can see these systems in action! Our Acura sales department looks forward to welcoming you over to our location soon, so don't hesitate to make the short trip over now! With an Acura MDX from Lehigh Valley Acura, you can take comfort in knowing your safety needs are met. The innovative Multi-View Rear Camera with Dynamic Guidelines will help you back in and out of that tricky parking spot with ease. The Rear Cross Traffic Monitor will alert you if someone or something is about to enter your path while you are reversing, and the Surround-View Camera System will help you make safe lane changes. Contact our Acura professionals to discover more about the standard and available safety systems of the Acura MDX today! Lehigh Valley Acura is always ready to discuss your Acura MDX needs. Talk to our team about your less than perfect credit score and we can find options for you. We are eager to be of service to drivers in the Emmaus, PA area. We encourage car shoppers to visit our Emmaus, PA location for the latest MDX model information, financing, and auto services. We've got it all here at Lehigh Valley Acura, so stop by!